Forgot Windows 7/8/10 Password, What to Do? Locked out of Windows 7/8/10 PC, What to Do? Surely you’re not the only one who forgot Windows login password, no matter Windows 10/8.1/8/7/Vista/XP and you are looking for how to get back in your locked computer. 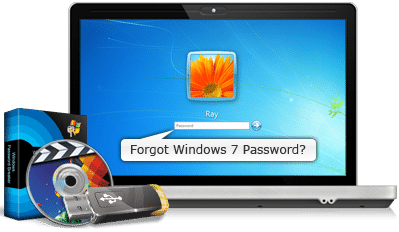 For this reason we offer you two methods to recover your forgotten or lost password in Windows. The solutions below will also serve users who have forgotten their Windows local account or administrator password. Note: In this method we take Windows 10 as an example to reset Windows password with Installation disk. And it requires some technical proficiency, so if you don’t think you can handle this, you can refer to method 2 which is a complete beginner’s tutorial. The first thing is to create a Windows 10 installation disk. In your case, you may already have the USB or DVD drive from which you installed the Windows 10 operating system. Whatever your situation, you can create a bootable USB flash drive with official Installation ISO of Windows 10. Once we have our Windows 10 installation disk we must connect to the locked computer we forgot password. It will change the options to start our computer, so instead of starting Windows 10 from the hard disk, but does it from the USB drive that we just inserted. For this we will have to restart our computer. Just during the start of computer you have to hold on the F8, F2 or F12 key to access the BIOS of your computer. 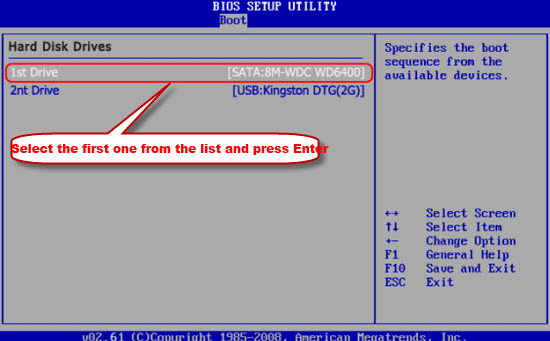 Once into the BIOS, you must move through the options using the arrows on your keyboard. More to “Boot” option, press the Enter key to access the configuration. At this point you should look for the option: Hard Drives Devices or something similar. Right here you will see a small list sorted according to the boot priority. First of all it will show the hard disk of your computer (where the operating system is installed). Among this list you will find the USB drive that we have inserted to our computer and therefore we must select it and press enter in order to change the order of preferences. 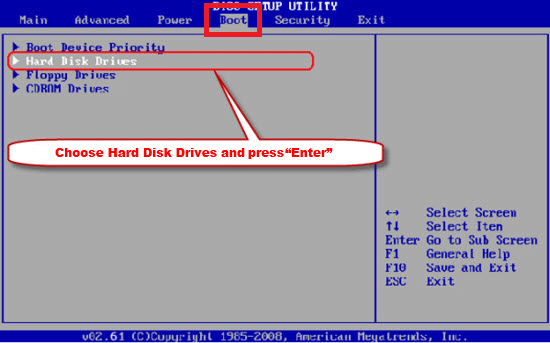 Once the option of the USB drive is at the top of the list, you must save the changes and exit the BIOS so that when the computer is restarted, the boot is performed from the USB drive. Now when you restart your computer it will boot from the USB boot drive which will cause a window to appear in the blue screen identical to the Windows 10 installation screen. However, we will not have to click on anything, in our case we will have to use the keyboard shortcut: CAPS LOCK + F10. Now we have to close the CMD and also click Close on the Windows installation window. This will cause a message to be displayed in which you will have to indicate that you want to cancel the installation of Windows. This will cause the restart of your computer to occur. Remember that when you restart the computer, now you must now disconnect the USB drive so that your computer will boot from hard drive. Note: The first command that we execute in the CMD must be the letter of the partition of the hard disk in which you have installed Windows 10. In our case, our hard drive has two partitions C: and D : but Windows 10 is installed in the C: drive, that’s why our first command is C :. If in your case Windows is installed in another partition, the first command must be the one corresponding to the letter of that partition. Once we start our computer and we are at the login of the Windows 10 profile we want to access without knowing the password and click on the icon in the form of a clock located in the lower right part of the screen. This will show a list of all the user accounts. Among the information that is displayed is the name of the user accounts as well as the privileges, whether it is a local, guest or Administrator account. With this information we must enter and execute the following command. Note: In the command you must replace the word UserName with the real name of the user account to which we want to access. Remember that you must write it correctly, respecting the capital letters and spaces. After pressing the Enter key, you will see the task manager will ask you to enter a new password for that user. Once the new password has been entered, press enter to confirm the previously written password and after pressing Enter again you will be able to close the CMD. Note: When you type the passwords, none of the digits you press on the keyboard will appear in the cmd. Do not worry because if you are entering the password. Now all you have to do is log in to that user’s Windows 10 session and you only have to enter the new password created in the previous step. 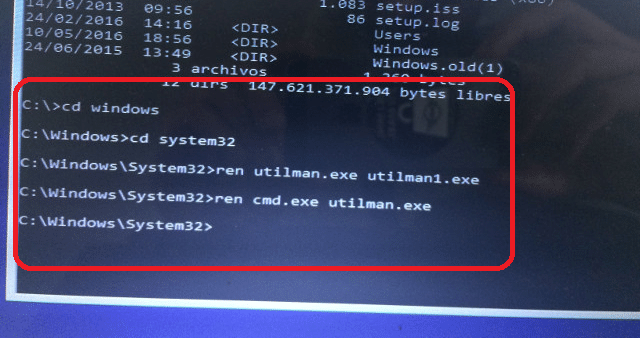 Note: Once you have completed the entire tutorial and you have already logged in to your Windows 10 user account, you will have to rename: utilman1.exe and cmd.exe to their original names. Remember that this process will NOT ELIMINATE any program or file from your computer, it only allows you to change or replace the password of any of the user accounts with a new one that you can use from now on to access your Windows 10, 8.1 or 8 operating system. The method 1 is a little complicated for common users, if you don’t want to deal with all these cmd or command stuff, you can try to get access into your locked computer with a third-party software – Windows Password Recovery Tool. 1. Download and install Windows Password Key on an accessible computer. Launch the program and insert a CD/DVD or USB into the computer. 2. 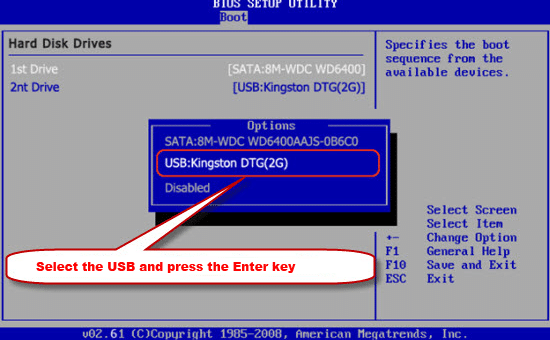 Choose USB Device or CD/DVD to burn a Windows password reset disk. 3. Insert the created Windows password reset disk into the computer which forgot password and boot it from the corresponding CD/DVD or USB. 4. Reset Password with the program and reboot your computer to login again without password.